Brazil fans will soon have another option to purchase Nintendo’s titles. 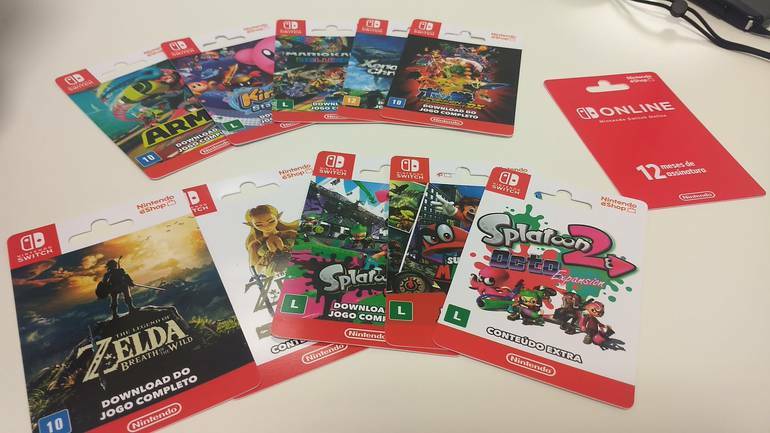 At the annual Brazil Game Show, Nintendo introduced some game download cards that it will be selling in Brazil. So far, the catalog seems to only include Nintendo’s first-party Switch titles and a 12-month Online subscription – but it’s a start! According to the report by The Enemy, however, Brazilian fans will not be able to claim Gold My Nintendo Points from these cards. Guess not everyone can have their cake and eat it too.